Photo courtesy of the Bella Vista Neighbors Association. In Italian, Bella Vista means “beautiful sight.” It’s the name city planners chose to rechristen the neighborhood bounded by 6th Street, 11th Street, South Street, and Washington Avenue after it was scrubbed clean and gentrified in the early 1970s, and despite being a bit contrived, the moniker stuck as the area became one of Philly’s go-to neighborhoods. Take a stroll through Bella Vista lately on the day after trash pickup (if you’re lucky), however, and you’ll find yourself questioning how the name squares with the sight of old pizza boxes, Tastykake wrappers, and shredded Amazon envelopes blowing all over the place. Before the Great Recession, regular street cleanings were a basic right afforded to citizens in all of Philly’s neighborhoods. But the program was completely dismantled in 2009 when the funds were diverted to other uses, and today a sidewalk needs to fall within the boundaries of special business improvement district like South Street (or anywhere in Center City, for that matter) for a city employee to come sweep it clean of debris. So what’s a neighborhood like Bella Vista to do? Residents fed up with the state of the streets have turned to a crowdfunding campaign. And with as many supporters as the Bella Vista Neighbors Association counts among its ranks, the registered community organization has raised more than $15,000 in private funds (including $500 from Councilman Mark Squilla) of the projected $25,000 annual cost for twice-monthly street sweeps. But not all neighborhoods are created equal, which poses a huge problem in pay-your-own-way politics. 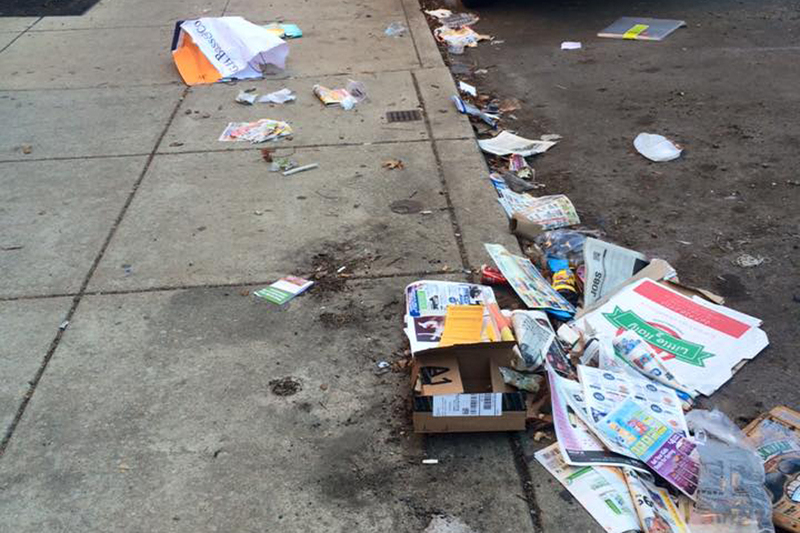 Back in 2015, when he was but a lowly councilman stumping for votes, Jim Kenney ran on a campaign platform that included one huge promise: the return of neighborhood street cleanings. “I’m not going to have people screaming and yelling that they don’t want to move their car from one side of the street to the other because it’s such an inconvenience, when they do it in Manhattan twice a week,” he told NBC at the time. Being from South Philly and understanding that there are neighborhoods in which this inconvenience is very much a deal-breaker (think about all those old ladies who use their Caddies once a week to drive to church), Kenney offered the compromise of sponsoring street cleaning service for individual areas that wanted it. Yet here we stand less than five years later with Bella Vista and other neighborhoods begging for any civic dollar they can muster to bolster their grassroots projects. Think Kenney and City Hall have changed their tune on selective street cleaning in the years since that promise was first made? You betcha. A pilot program paid for entirely by the test subjects themselves? How can our cash-strapped city say no? Comparatively, Bella Vista’s litter woes rank on the low end of the spectrum. 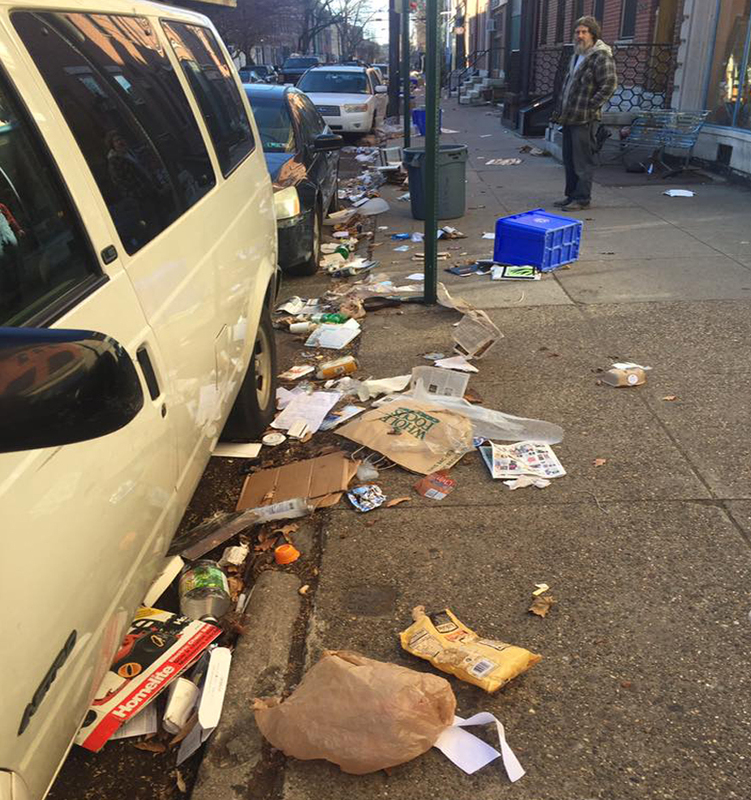 The affluent neighborhood scored a 1.4 out of 5 on Philadelphia’s revamped Litter Index, which is used to measure the amount of garbage piling up on our streets. North Philly is where the majority of the city’s litter has accumulated, although there are blocks in South Philly’s Point Breeze neighborhood that likewise score within the index’s “extremely littered” designation. 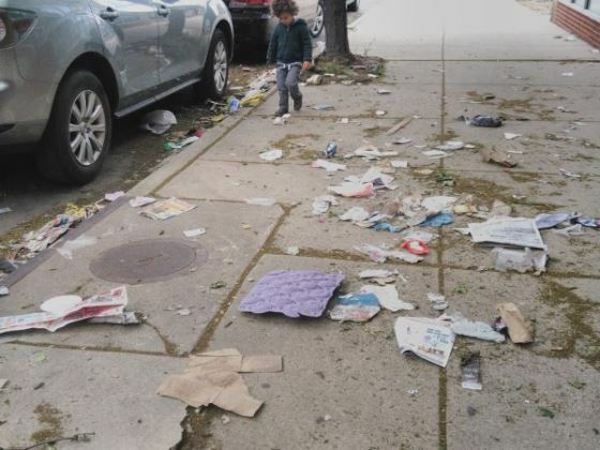 According to Bones, the idea of grassroots-funded street cleaning in Philly began with the Clean Point Breeze Streets initiative, led by Angela Val, chief administration officer for Philly’s Convention and Visitors Bureau. Due to the lack of an organized RCO in Point Breeze, Val had to appeal directly to fellow residents for her crowdfunding campaign. In 2016, she was able to contract with a third-party organization for street cleanings that were ultimately deemed successful, although limited in coverage area. Last year, Clean Point Breeze Street set up a GoFundMe with a goal of raising $22,000 for expanded services. Over the course of 11 months, only $6,000 was donated. Others are trying to tackle that kind of disparity by putting street cleaning in the hands of volunteers. Not In Philly, the brainchild of Dave Brindley, designed an online platform in which willing individuals can sign up to adopt a block and become a point person for cleanup efforts. As more residents take on the responsibility themselves, asks Philly Mag’s own Fabiola Cineas, how long will it take Brindley’s model to render the Zero Waste Initiative completely useless? In other comparable U.S. cities, municipal-funded street cleanings have never gone by the wayside. It’s been nearly a decade and Philly has bounced back admirably since the economic collapse, yet we still haven’t revived our street cleaning program. So what gives? “Everything comes down to parking around here,” says Eugene Desyatnik, director of the BVNA. While the leader of this particular RCO is speaking directly to his neighborhood’s issue with litter on its blocks, he may have just coined the ultimate phrase to describe our incredibly stubborn city government, which has chosen to spend its resources on cleaning large dump sites over common street litter. According to the Bella Vista neighbors and Councilman Squilla, this idea of moving cars to the other side of the street is exactly the root of the problem and serves as the underlying reason this impasse still exists to this day.